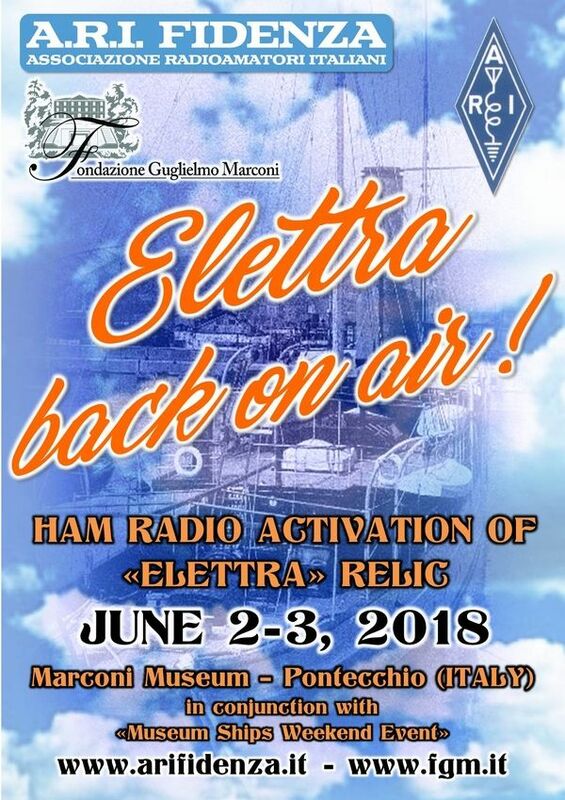 on saturday, June 2.nd and Sunday, June 3.rd, 2018.
onboard of which a number of very important experiments on the radiocommunications were conducted. “voice", allowing the radioamateurs overall in the world to get in contact with it. to disseminate the knowledge about the scientific activity conducted by the great Italian inventor. “Battleship New Jersey Amateur Radio Station NJ2BB” affiliated to the ARRL (American Radio Relay League). june, and has te goal to allow the Radio activation of hundreds of radioamateur stations located on board of museum battle ships. if over a weekend only, allowing to highlight their historical, technological and human value and meaning. laboratory of the great Italian scientist. For any insufficient money contribution, the QSL will be sent via bureau.